Well, while the following thoughts may make you wonder what I’ve been smokin’, the key is what I’ve been reading. While there’s a lot of gloom, doom isn’t the only option, and the solution isn’t about someone else making a change. It is always a veritable smorgasbord of information that surrounds me these days. I carry books with me wherever I go, and it’s sometimes difficult to choose which one to actually focus attention on at any given moment. However, I’m going to tell you about a couple of authors whose work I’ve known about for six months. The problem was that they weren’t available in English. The authors are Grigori Grabovoi and Arcady Petrov, both from Russia. And before I get into their works, here are some the ideas that are supported by their work, and others that I have been drawn to. Never before has it been more evident to me that we — meaning humanity — can solve our problems. I’m not talking about our “best and brightest” being the problem solvers for us to rely on. Not our “scientists” and “researchers” who look only if their research is funded, and report as they’re told. I certainly don’t mean our “government officials,” or the alphabet agencies who want to tell us what is “good” for us in spite of scientific evidence to the contrary. I mean you. I mean me. We are the ones… in fact, the only ones, that can change our respective realities. We are the ones… in fact, the only ones, that can heal ourselves. We are the ones that can heal our relationships. After all, much of what we experience as disease have their roots in relationships that haven’t been attended to, or have been made even worse. Yet, every relationship is healable, whether it is personal or cultural, though you’d never know it by some of the beliefs we’re willing to die for, or, on the advice of “experts,” allow “authorities” to send our kids to foreign lands to kill over. What would it mean if death were proven to not be real? Imagine all those souls that we call ghosts, who don’t know they they’re “dead,” are actually right. Suppose they are still “alive,” but have been culturally and socially written off because we believe they are no longer supposed to exist. We are spiritual beings whose existence has never been only “physical.” Anyone who wakes up from a sound sleep with memories of encounters and experiences has a clue to their expanded experiential nature. Yet, our entire culture is based around a totally physical interpretation of reality. According to some revered ancient texts, at one time it was customary for a human to live 900 years or more. Maybe that period hasn’t changed. Perhaps what changed is that the corporeal (i.e., physical) form’s life has shorted for a myriad of reasons, but the spirits of many live on “between time and space” because they’re chosen time on this dimensional plane hadn’t ended, and they had managed to break, poison, or mutilate the body beyond believed repairability. Perhaps it is only a hypothesis, but now, it’s starting to make sense. Since we don’t think of ourselves as healers of our lives, or even capable of being such, it has made sense that we go to other “experts” and allow them to practice on, medicate, and mutilate us, and pay them well to do it. The belief that we cannot heal without drugs, technology, or surgery is a calculated and cultivated one that covers much the 20th Century. It’s true as long as we believe it is true, but at the end of the day, it’s false. As soon as we’re willing to be well again, the power to do it is available, and the journey begins. The method must then be worked out. This concept is not new to me. In many of my writings on MMS, I have stated that we cannot separate the experiencer from the experience. In other words, we must always consider the state of mind and consciousness of the person who is sick, as they are key to whether MMS or anything else works. The debate always centers around whether MMS “works”, with little or no regard to whether the individual is actually committed to the restoration of health. Detoxified chlorine dioxide, which is produced when sodium chlorite is combined with citric acid, does have some very specific and beneficial properties that will help the normalization process (otherwise known as healing) along, but its power depends on the willingness and the will of the individual to change. 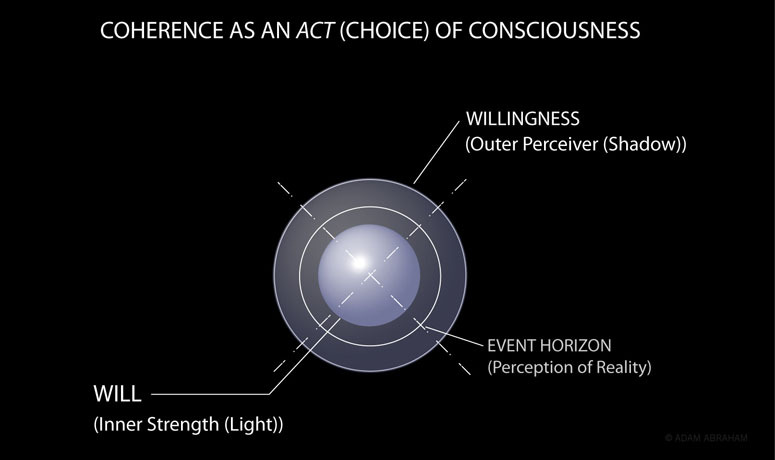 When willingness and Will are aligned, like concentric spheres, an immeasurable, but powerful state of coherence of consciousness is achieved. I have received three of the books out of Russia, Grigori Grabovoi’s Unified Field of Knowledge and Concentration Exercises, and the 500-page Save Yourself, part 1 of the Creation of the Universe trilogy by Arcady Petrov. The two Grabovoi titles are short, but contain the foundational thinking that led to the unfolding of Petrov’s story, which includes regenerating his own gallbladder. It takes a bit of time to adjust to the angular rhythm of Grabovoi’s literary voice, but he lays down the groundwork of where he’s going early in Unified Field of Knowledge where he states his intention, not only to cure, but to regenerate (restore) matter back to its original state, regardless of the degree of degradation. I say, “his intention,” but this is not to mean that Grabovoi is presenting himself as the power that makes this possible. It is a power that is within, and available to each of us, that only we can unlock if we so allow. This is not being done with medication, drugs, stem cells, or “nano-technology,” or at great cost. It’s being done with introspection and a deep, profound, and comprehensible understanding of information, and its inherently and implicitly neutral state. Neutral is perhaps the last thing we are about information. Yet, in said neutrality emerges a new view of possibility. This is not the dispassionate “objectivity” that we’ve become familiar with in journalism, for the clear intention behind Grabovoi’s work is harmonization of the whole being to the norm of Creation, which itself is an informational structure, as is ALL of Creation. We are also not neutral about what we think is possible, and what is not. Much of what Grabovoi suggests falls outside of our long-held beliefs about what is possible. Look at the hundreds of billions spent annually on finding “cures” for chronic and degenerative diseases (without finding said cures, mind you). It doesn’t say that we don’t believe such cures are possible, but it does suggest that we haven’t achieved them, and that it is so difficult to find an answer that it’s worth the 100’s of thousands of deaths each year that people suffer through when their hope runs out. Grabovoi’s principles, practiced since 1992 in Russia, suggest that this is unnecessary, as evidenced by the fact that he has even been instrumental in numerous cases of resurrection. Some people will be disinclined to believe this is possible, or perhaps that if it is, it’s due to the workings of some supernatural force that we should distrust and fear. But what if it is simply a connecting of the missing link to our immortal, implicitly spiritual nature? We know that energy can never be destroyed, only change forms. We know that every element of our being, both seen and unseen, is energy. Perhaps our belief in death, and that we can be “killed,” is part of a misinformation campaign that has persisted since long before the FDA was a mere twinkle in some bureaucrats eye? What if every war that we have fought throughout history, every conquest, every plague, every surrender, every crime, every punishment, was actually a psychological ruse; a way for the actors to get on or off the stage in an ongoing play about the journey of human consciousness in the realm of apparent separation, and the return to Oneness? And what is the Oneness? According to Grabovoi, it is a return the normal informational structure of our Creation, which still exists, always has existed, and always will. Illness and disease are information structures too. They are distortions, variants and alterations to The Norm that we are. According to Grabovoi, the Original Informational Structure for each of us, as expressed in a collection of number sequences, is available, and can be used to “overwrite” a distortion that we may have adopted or accepted as being our own. When you accept a distortion, you also accept the perceptions (which themselves are all informational structures), associated with it. Remember the “kiss of death” that was associated with the informational structure of AIDS when it first emerged on the scene? It’s no big deal in Grabovoi’s view because, at our essence, is information, which can be changed. His work and many lectures in Russia have been about making such potential real. When I first learned of Grabovoi and Petrov last year from Daniel Smith of Project Green Life, I was excited about the prospects of organ regeneration that was discussed in the 7-part video, Light of Eternity. One of the people showcased in the video was a woman who had been blind for over 20 years due to the effects of diabetes. In addition, she had also experienced kidney failure, requiring regular and painful dialysis treatments which lasted 5 hours each. With great joy she recounted how her eyesight began returning as she listened to her husband’s recording from Petrov’s book, Save Yourself (shown in part-6). Her kidneys now function normally. I don’t know about you, but this is what I’m looking for. This is how health care costs go down, by restoring health, a concept that many, if they listen to the doctors that the actors on the TV commercials always admonish you to heed, have resigned themselves to disbelief. Are those doctors, or the medical system, the FDA, or science the actual arbiters of what’s possible? But if they aren’t the ones that tell us what’s possible, who is? Find yourself the nearest mirror, and take a good look. You may not know it, but you’re the one who decides what’s possible, and not possible, for you. Is this because Grabovoi says so? No. However, Grabovoi has come to the same conclusion, and has applied his insights into a methodology that has helped thousands of people become healthy once again without the costly and ineffective technological trappings that we have become addicted to. Could it be that all the king’s devices and all the king’s drugs were never really needed to put uncle and aunt Dumpty back together again? Hence, science’s insistence on relying on “experts,” “data,” and “laws” to dictate the limits of what is possible and impossible, also establishes the boundaries of our expectations, not only of others, but of ourselves. Setting money (another outside factor) as the standard of value, “power”, “privilege”, etc. (all information structures), keeps the focus off the true drivers of reality, which Grabovoi claims is each human being. The long list of lives that have been transformed since 1992 as a result of his concepts suggest that he may be on to something, and that we may very well be the ones we’ve been waiting for. Excellent interview! 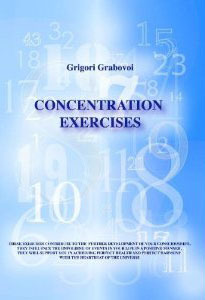 I’m looking forward to the Phoenix Seminar DVD’s, Presently attempting Grigori Grabovoi’s Concentration Exercises – lots of questions which I hope the forthcoming DVD’S provide additional insight. I believe that the Phoenix seminar will indeed be helpful, as well as a great way to share these concepts with others. The woman who put on the seminar in Phoenix, has had two gatherings at her home since then. We are probably the first group in the Phoenix area doing this. I plan on starting a similar group in our part of town. There is a group on Facebook that has focused more on one aspect of Grabovoi’s teachings, i.e., organ regeneration. I understand they have had some amazing results thus far. Of course, it would be very confirming to regenerate an organ that had been removed, or even reactivate one that has degenerated, such as a liver or kidney. But the idea of immortality, of being here as long as we choose without the drama of death, forgetting, rebirth and remembering, is a compelling one for me. I’ll have more info on the Phoenix videos soon. This is good information, and surely not new information. From the psychic healers from the Philipines to Religous Science, we have been long told that we heal ourselves. Others can only lend guidance and inspiration or movitvation that we have not focused upon to assist us. Not only do we heal ourselves but we can and do heal each other… for we are one… when we choose to recognize it. It is all a matter of recognition and remembering. Those who do not or think that they cannot heal themselves should not be castigated for being less. They are on their learning journey and when it is time for them to remember they will remember, and not one second sooner,, so aunt and uncle Dumpty may still need their pills for a very long time, even though you may have found a way to grow a new gall bladder. It is not for us to judge. Nor is it for us to berrate those who will not respond to this information… just want to make sure that we keep an even keel about this. All people are children of god and certainly teaching this to a child from the start would benefit it greatly but as of yet this information is not available to most children, as their parents and teachers yet have to realize it. Some are much closer to remembering this than others are and we must maintain compassion for those who are not yet ready to remember. This is the kind of thing where the 100th Monkey effect is clearly notable. When one person can do it the knowledge of new potential rrealities is transfered and new realites can spring up all around. I fully agree with you Arrow. We’re all on a continuum of consciousness; whether we play the role of allies or adversaries, we’re all kindred. Slogging through the Graboboi books, I do think he’s got something there, for sure. Hoping Petrov will be able to clear away some of the less-than-obvious (to me) stuff. Nominalizations are difficult if one doesn’t have a point of reference – and idiomatic Russian is filled with them, apparently. Thanks for bringing this to my attention, it’s a grand rabbit hole. I will definitely let you know when the Phoenix Seminar DVD is available. It will be either 3 or 4 discs. One is done. Thanks for asking. I’m also reading Petrov’s book now, and starting to “get into it”. I think in a very short time everybody will know about this Russian self healing and regeneration and rejuvenation. business, and the drug companies will be loosing billions of dollars. I tend to agree Gil. I was introduced to another man who is helping people heal using a numbering system. His name is Lloyd Mear. So speak so much from the heart and soul and off course, most people know that death is not the end, but a new beginning. We have grown up with this misconception that only doctors can heal and Jesus or other holy people, that we forgot how to do it ourself. But this spiritual awakening now is going to increase very soon very drastically and we will all KNOW BETTER again, as we knew before. Than peace can come and all will be healed! Thanks God for that! Thank you for sharing this empowering perspective and linking us with such visionaries. I’ve no doubt we are the ones we’ve been waiting for. This I believe. I know that we are able to heal ourselves. When more of us start to believe this, it will become our reality. We grow sick and old because this is what the majority believe in, just as people may ‘Hard Times’ because they choose to believe in the concept of Hard Times. ‘It is done unto you according to your belief’.